London-based indie line Angela Flanders has launched Columbia Rose, a new fragrance celebrating the brand's 30th anniversary, and named for the Columbia Road Flower Market in Shoreditch, where the original Angela Flanders boutique opened in 1985. Columbia Rose is being sold in a coffret with two older fragrances, Moroccan Rose and Rose Poudrée. The Columbia Rose Trilogy is an olfactory story narrated in three chapters, each representing a decade of Angela Flanders' life as a perfumer. The story begins with Moroccan Rose, created in the first decade of Flander’s journey as a perfumer for her daughter Kate - a gift from Mother to Daughter. A dark, red rose resting on an exotic base of Ambrette, Sandalwood and Iris. The story unfolds with Rose Poudrée created during her second decade at No 96. An homage to the old-fashioned Centifolia Rose, and a personal favourite. A blend of Rose and Violet resting on a base of powdery Musk, Vanilla, Iris and Heliotrope. The story comes full circle with Columbia Rose, a new perfume created especially to celebrate 3 fragrant decades at Columbia Road. Columbia Rose is a rich, velvety Rose lifted by a touch of Violet, deepened by Sandalwood and Amber, resting on a shadowy base of aged Patchouli. 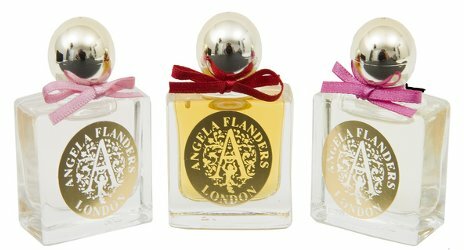 The Angela Flanders Columbia Rose Trilogy coffret is £55 for three fragrances in 12 ml Eau de Parfum.